If you already are using car wraps, you also know that they are an efficient way to get your business noticed in your local community. 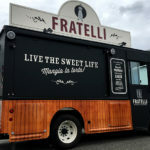 High-quality wraps also need to be maintained in order to grab the notice of potential customers. If you do not care for your advertising wraps properly, you can do more damage than good to your company’s reputation. After all, if a business does not maintain their wraps, what kind of message is that sending to possible customers? Not only does wrap maintenance enhance the looks of a car, it also prolongs the life of the graphic images. Maintenance is especially important in congested industrial or urban locales or in high-elevation areas. At high elevations, wraps can suffer UV damage much easier than they can at sea level. Because the air is thinner, less filtering is available against the damaging effects of the sun. In congested industrial or urban locations, increased pollution and smog reduce the resiliency of a wrap. Horizontal areas capture environmental chemicals on the wrap’s surface, thus increasing UV exposure and reducing strength. 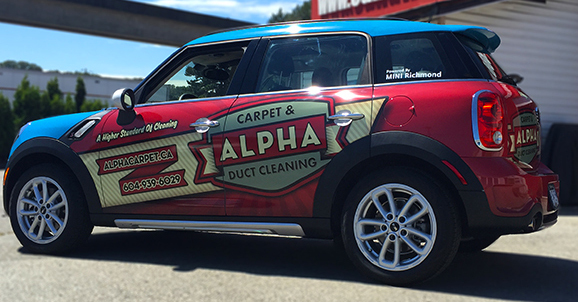 The best way to clean an advertising wrap is to follow an old-fashioned technique – manually washing the car with water and a mild detergent. Going through an automatic care wash is also acceptable if you have no other cleaning options. Skip the wax at the car wash as the substance usually contains petroleum distillate – a damaging ingredient. Also, never run a wrapped car through an automated brush wash. Brushes can cause scratches or catch the border of the graphics or decal. When hand-cleaning a wrap, use soft cloths and sponges with a water and mild detergent mix. The detergent should not contain any abrasive components and have a pH between 3 and 11. It should also be free of alcohols and solvents. You can manually wash a wrapped car as you would a painted car. First rinse the car with clear water to prevent any scratching. Then apply the soap and water with a sponge or soft cloth. Begin at the top of the vehicle and work down. Don’t abrade the filmy surface with extra scrubbing. Thoroughly rinse the graphic with clean water. Either allow the car to naturally dry or dab a non-abrasive towel or chamois over the surface. Be careful about not lifting the edges of the wrap’s film. Waterless washes can also be used for wrap maintenance. The products are ideal for maintaining the performance and gloss level of the film. Use waterless washes when your vehicle is mildly dirty. The products clean well and add a nice sheen to a wrap. If a waterless wash contains wax, avoid using it on a matte wrap as the product will create glossy areas. To play it safe, test a small, inconspicuous area on the wrap with the product first. Experts recommend washing the car by hand first, then using a water less wash as a final touch. For any hard-to-remove contaminants, such as bug splatter or bird droppings, soak the offensive residue with hot, soapy water before you rinse. Never use abrasive tools that can scratch the images. You can wax a wrap as long as it if free of any petroleum distillates. Some waterless washes also include wax, and therefore can be used for cleaning and waxing wraps.